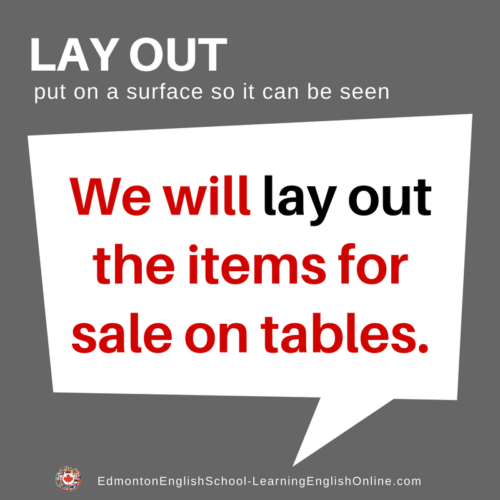 What is the Meaning of LAY OUT? 1. Every night she lays out the clothes she plans to wear the next day. 2. At the end of the school year, the school lays out the Lost and Found items so the parents can claim things their children have lost. Note: Many phrasal verbs have several definitions. All the definitions may not be shown here.